I love to shop. 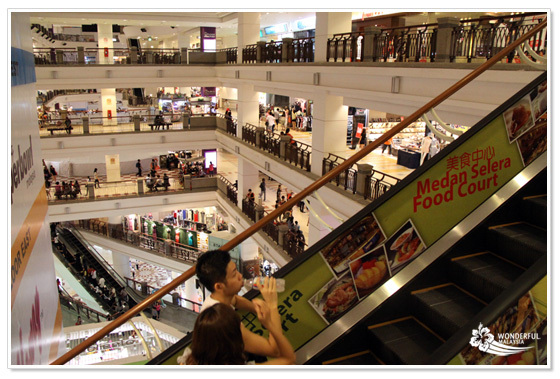 What are the must-visit shopping malls in Kuala Lumpur? Kuala Lumpur has numerous shopping malls. 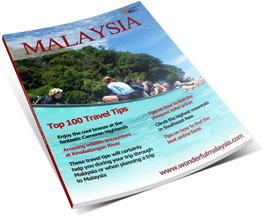 Tourists may find it difficult to decide which of them are absolute must-visits and which are the ones that can easily be skipped during their stay in Kuala Lumpur. First off; if you are visiting Kuala Lumpur with the sole purpose of going on a serious shopping spree you should know that there is actually only one place to stay and that is in a hotel around Bukit Bintang. Most of the malls in our top10 are located in this area. Luckily many of the popular 5-star hotels are located in this area, so it should be easy to find proper accommodation. But also budget travelers are able to find accommodation that suits their budget; as there are many guesthouses located in the Changkat Bukit Bintang area (only a 5/10 minute walk from all major shopping malls). In our list we took multiple factors into account. Not all malls are perhaps interesting for every type of shopper. Some of the great malls are located well outside of Kuala Lumpur, perhaps still very much worth a visit to some, for others probably not worth the hassle. Our personal favorite by far is Pavilion KL. Pavilion was opened in 2007 and has been an instant hit since then. Pavilion offers many nice shops, and caters to the more general type of shopper. There are many luxurious shops, but also enough regular shops. Pavilion has a great food court but also many restaurants and (coffee) bars. Definitely the place to be (visit) for tourists. Suria KLCC has been one of the most popular tourist malls for ages. Locals always call it a tourist mall, but still many tens of thousands come to this mall every weekend to relax and hang out. Tourists may find many shops offer different products that at other malls, Suria KLCC has many shops that sell familiar international brands (and is also know for carrying western sizes). Lot10 is perhaps the most centrally located mall in Kuala Lumpur, right along Jalan Bukit Bintang. It has quite a few nice shops and also a National Geographer Flagship Store. In the basement you can find Hutong, a wonderful food court with mainly Chinese hawkers. Lot10 lies conveniently between numerous other popular malls in Bukit Bintang. If you enter this area by Monorail then the station to embark is right next to Lot10. 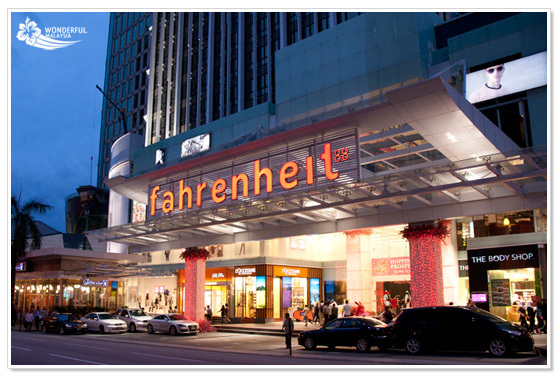 Fahrenheit88 is a modern mall near opposite of Pavilion KL. It used to be known as KL Plaza, but the new owner wanted to rename the mall after a huge renovation. Fahrenheit88 has some very nice stores. At the top floor you find Signature IT, a huge IT department store. Fahrenheit88 became one of the places to be among locals because of the huge Uniqlo clothing shop that occupies a few floors. Though pretty far away from Kuala Lumpur City Center, 1Utama is a not to be missed shopping mall. After the huge renovation it again it a wonderful place to shop for all kinds of products (and also one of the biggest). There is also a huge Foodrepublic food court, where you can try many local dishes. 1Utama is not really popular among tourists because of the distance from most of the tourist hotels; still it is very much worth a visit. Sunway Pyramid is extremely popular among locals that live outside of Kuala Lumpur. It could very well be the most popular mall in Malaysia when looking at absolute amount of monthly visitors. Sunway is more than a shopping mall; it is a huge entertainment complex with numerous bars, restaurants, hundreds of shops, hotels, resorts and even a huge amusement park (and water park). Those that travel with children will probably do them a huge favor by visiting Sunway Pyramid. The Curve is neither the biggest nor the most popular mall in Kuala Lumpur. It is also located pretty far out of the city center. Still it is a nice place to visit. Besides the mall there are many bars and restaurants. Opposite the Curve is Ikano Power Center, where you can find a few flagship stores of popular local and foreign brands. The Curve is especially popular among the local expat community. Last in our list is Berjaya Times Square; the biggest shopping mall in Malaysia. 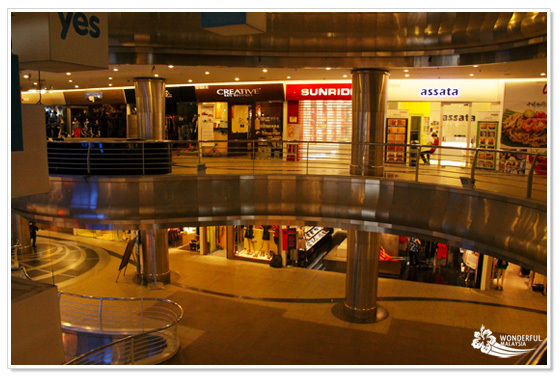 It has well over 600 shops, ranging from huge stores at the lower levels to numerous small shops at the higher levels. There is even an indoor roller coaster inside this shopping, which makes it the perfect mall to visit if you are traveling with children. 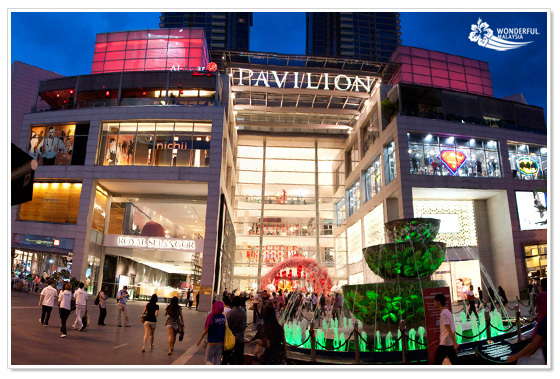 Berjaya Times Square is also located within the Bukit Bintang area; at a 10 minutes’ walk from Lot10 or Lowyat Plaza. Malls that didn’t make it into our top10 are still very much worth a visit, especially the ones within the Golden Triangle (Bukit Bintang area and KLCC area). Below we listed a few other shopping malls and explained the main reasons you might have for visiting them. 11. Starhill Gallery: probably the most exclusive and luxurious mall in Kuala Lumpur. 12. Sungei Wang & BB Plaza: together the most popular local malls in Kuala Lumpur. 13. AvenueK: modern but small shopping center opposite of Suria KLCC. 14. Pertama Complex: the best mall to buy sports products. 15. 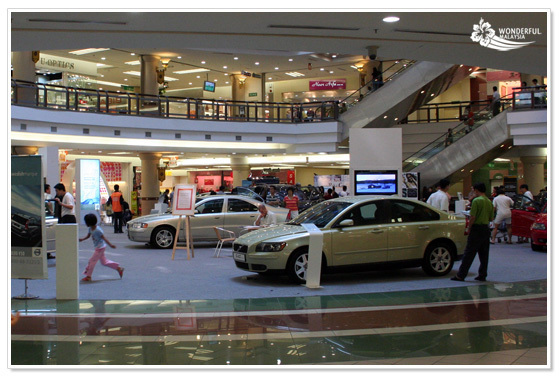 Bangsar Village Shopping Mall: very popular expat mall in one of the biggest expat enclaves. 16. IMBA Plaza: the best (or worst) place to buy pirated dvd’s, software and other media. 17. Great Eastern Mall: biggest mall in the Ampang area. Especially popular among expats. 18. Tropicana Mall: popular ‘family mall’. Many furniture and children stores. 19. Plaza Mont Kiara: modern mall catering to expats that live in the Mt. Kiara area. 20. 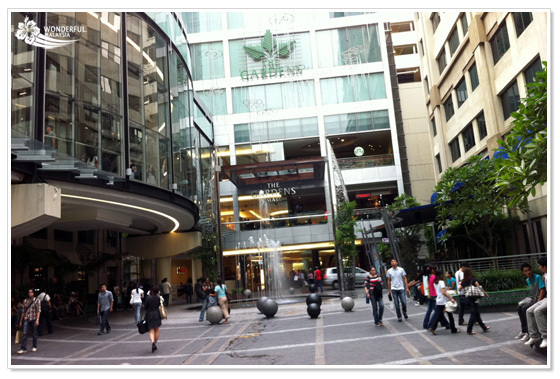 Bangsar Shopping Center: most popular expat mall in the Bangsar area. Best place to buy products like cheese, bread and other typical western products. 21. Publika: Expatriate mall in the Mt. Kiara area. Looking for specific brands? Just let us know below and we will find it out for you! Can I visit Malaysia during Ramadan? I’d say Lowyat but only if you are either local or speaking Bahasa. If you are a foreigner, forget getting good prices at Lowyat. I do not agree. I got my mobile for the local price from the branded saler without any problem! KL has the most shopping mall in Malaysia and more and more such malls are cropping up and eventually the whole of kl will be a mall heaven. It probably is a shopping haven already, Malaysian can just stay in a shopping mall for just 24 hours and won’t have a problem with it. Just wish that the mall could open 24 HOURS…. Australian malls often close at evening and everybody goes to bed early. That’s what I love about Malaysia. Fantastic place and nice people too. We Australians like the great outdoors and you fellow Malaysians probably love the air-conds and big buildings…. Of course you guys have the ‘mamak’ stores and boy do they open almost everyday……. Any news on those new and upcoming malls in KL? I am especially curious in when the new Sentral malls will be opened to public? Will it be this year? I love your list, my personal favorite is Setia City Mall. Yes, it is located at Setia Alam. Is it too far from KL to make the cut? Hardly a place where many tourists come to shop till they drop I recon…. Hi. thank you for giving me really useful info. Please let me know where i can find. Please suggest best place to bargain and buy Mobiles, Cameras, Laptops & other electronic stuffs !! Thanks. If you are living in Malaysia, I would recommend checking out the Trade Zone of the Low Yat forums…..
give me shopping mall business hour and website too. Usually not…it’s a bit of an in between period…somewhere around November new sales season starts. where is the best place for a good body massage in KL?? Hi DJ, allow me to answer on behalf of llya. Depending on which are you stay in KL, the spa and massage option is endless, especially in the city centre area. If you are looking for some budget massages, head to the bukit bintang area. On the other hand, most of the luxurious hotels in the city centre do offers spa and massage package at a more luxurious price. Swasana spa @ Impiana KLCC and Anggun Spa @ Hotel Maya are just some to name. Simon is right; some of the best spas can be found in the more upscale hotels. There are also quite a few places within the expat areas surrounding KL, but these are not that easy to get to if you do not drive a car. where can i find ps3 and xbox games in malls here? Do they sell genuine or bootleg copies? i which of the mall in kl closes at 10pm or 11pm? All malls close at 10pm…malls that have F&B options close at 10pm too, but the F&B outlets stay open later. There are no North Face shops (authentic) in Malaysia. Department stores like Parkson something sells a small selection (I remember at 1Utama and Suria KLCC). North Face mainly focuses on winter clothing; no need for that in Malaysia. There are also a few shops in Singapore (one shop at Novena and one at Marina Square, there may already be more). is this the official page? Ilya you seem to know a lot I am not sure if you can answer this for me. I am wanting to purchase handbags, shoes and most importantly looking to purchase Gel nail polish can you tell me where I can get this in KL. We will be visiting in April. I am unfamiliar with Gel Nail Polish. If it’s a standard item, you might find it at Watsons. There is one in every mall. Pavilion has one at the lower basement level. About handbags and such. It depends if you are looking for a great shopping experience, or for a cheap genuine handbag. I am not sure where you are from; but with the famous international brands Malaysia is not always the cheapest place. I know even Malaysians are combining a trip to Europe with buying handbags :). Anyways; best places for luxurious bags and such are Pavilion KL, Suria KLCC and Starhill. A nice place outside KLCC is The Gardens; here you can find luxurious brands too (like LV, Gucci etc). Add “Publika” to your list. It’s a very nice / modern mall located in Mont Kiara. hi. Now im in koala lampur which one this shopping centers is better than anotherone? Hi ,i m planning to visit malaysia in the last week of jan 2015, can u recommend me cheaper shopping malls for kids & female items. How much for a taxi from Soleill hotel to 1 Utama, also the Curve. and any other malls outside the city. Where to get best deal on Nikon d 7100 in KL. i am mithu. i want to export t-shirt from bangladesh. if anyone want import t-shirt from bangladesh, pls contact with me . Fyi, Malaysian pronounce “Kuala Lumpur” as “KL” not “Kuala Lumpur” as many tourist says it. Its funny if you call it Kuala Lumpur. I do not even know how I eded up right here, however I assumed his put up was great. I do not realize who you are but definitely you’re going to a famous blogger should you are not already. These are the top shopping malls in Kuala-Lumpur. Tapp the e-mail account you want to take away.